Nothing makes a room come alive like a fresh coat of paint. John’s has all the high quality paint and stains you’ll need and all the answers to your questions! Brushes, rollers, sandpaper, we’ve got everything you’ll need to insure great results. Our experts have experience in just about everything, so your project will get off on the right foot. Don’t forget the outside of your home! 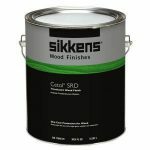 Great paints and stains last longer than budget coatings. 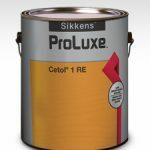 Longer lasting coatings mean a longer time between applications, leaving more time for the good things in life and reduced overall costs. This is one of those things in life where a higher cost product is really a better value. When painting mouldings, some paints just don’t work well, while others give you a nice, “brush stoke free” finish. Check with the experts at John’s when finishing mouldings to find out what paint will work best for your project. Pratt & Lambert offers a complete finishing line from primers, fine interior and exterior paints and stains. Pratt & Lambert is known in the design community for its unbeatable palette of sophisticated and versatile colors. The new Never Compromise Color System is an evolution of the palette of beautiful colors that have made Pratt & Lambert a leader in the paint industry. It is not just a palette of over 1000 colors; it is a complete decorating assistant. Click here for more great Pratt and Lambert products. If we don’t have it, we can get it here in a few days. NO OTHER exterior wood stain offers the beautiful sheen and durable protection of Superdeck. 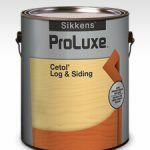 ONE COAT of Superdeck is all that is needed for new wood – saving you time and money. Superdeck is professional grade with satisfaction guaranteed every time. Below is a listing of colors and sizes typically stocked at the store. Due to the nature of some of these products, our stock is constantly changing. Contact us to check stock availability. We can always order it in a few days if we don’t have it in stock. Click here to see more great Superdeck products. 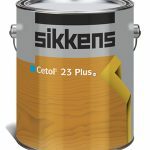 Sikkens products are known for their enduring beauty and long life. 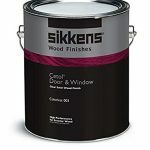 Sikkens products are world renowned for beauty and durability. 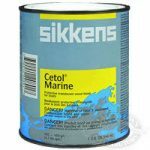 Founded in 1792 in Europe, Sikkens products have stood the test of time, which is why we stock a full line of Sikkens products. For Brochures on any Sikkens product, click here.